Twin brothers Sawyer and Everett shared the same womb for nine months. But they won't share the same birthday, or even the same year of birth. 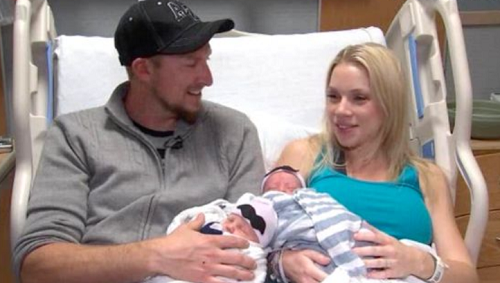 The pair were born to parents Holly and Brandon Shay in separate years thanks to an unexpected arrival on New Year's Eve. Holly, from Glendale, Arizona, had been in an exhausting labour for six hours when her first son Sawyer arrived at 11.51pm. "I wanted to make sure he was OK, and they had to keep reminding me that I had to push," she told ABC. Everett was born one minute after midnight on January 1, 2017. This won’t be happening for the first time. 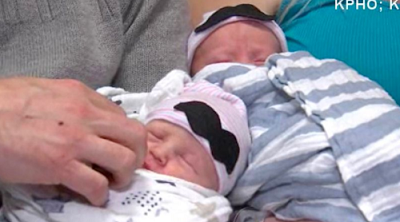 At least three other sets of twins in Georgia, Utah, and California, were born same way. My question is; which date of birth and year would they be claiming?